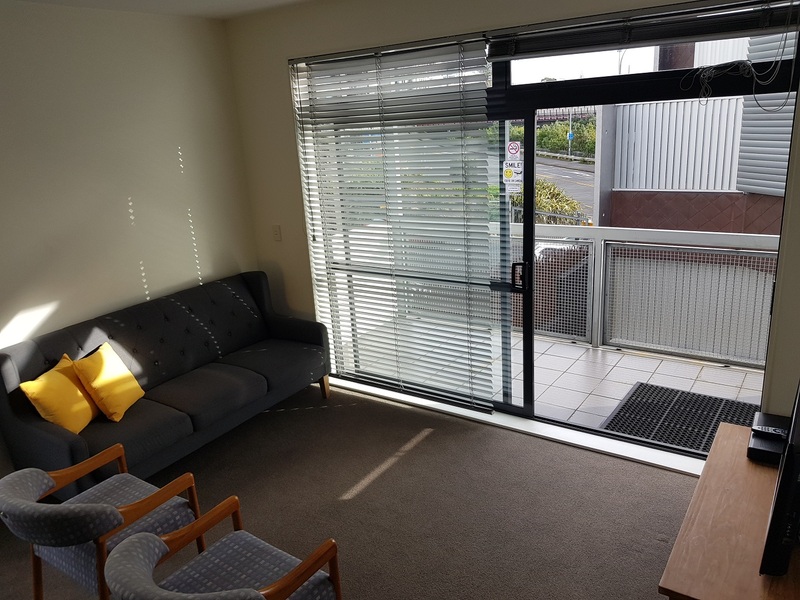 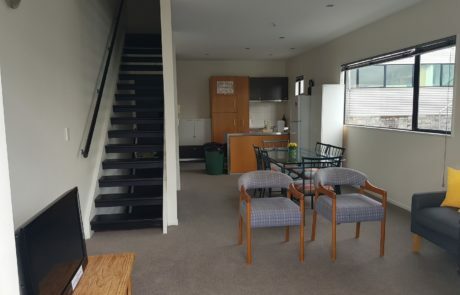 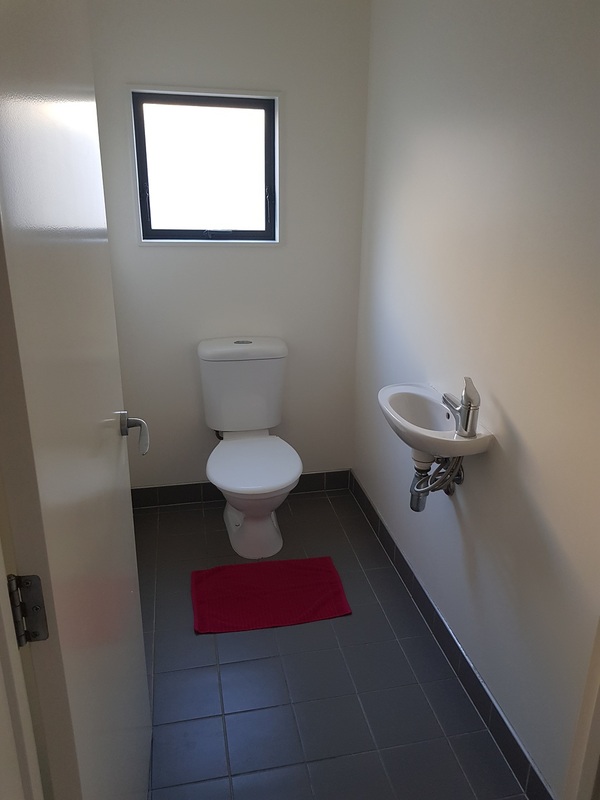 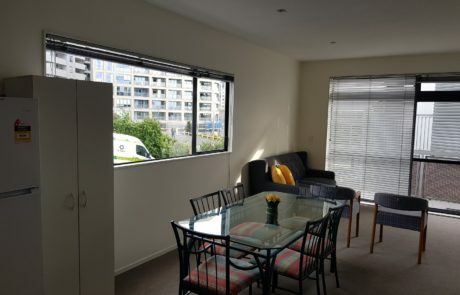 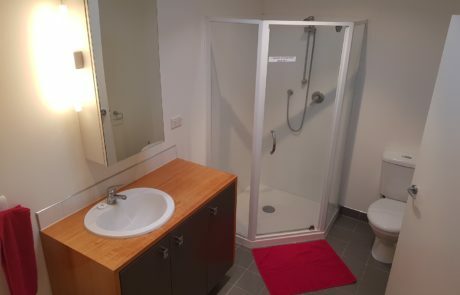 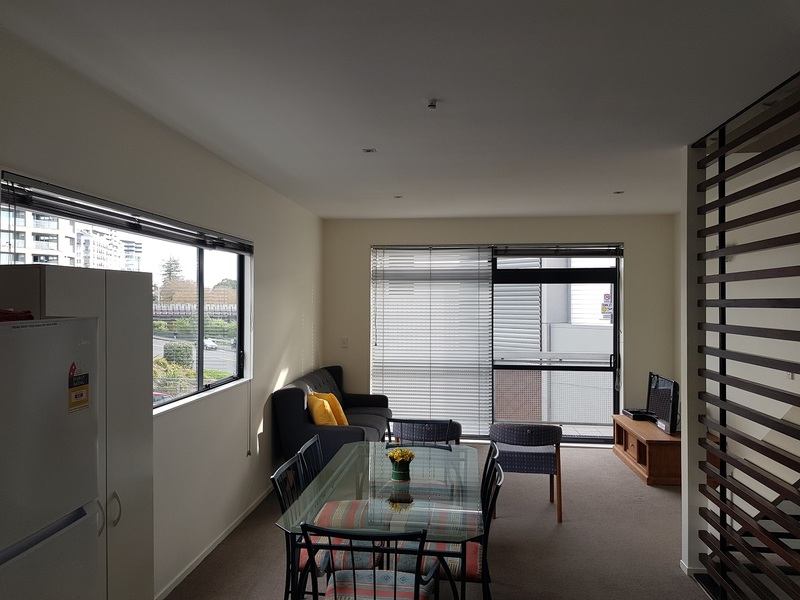 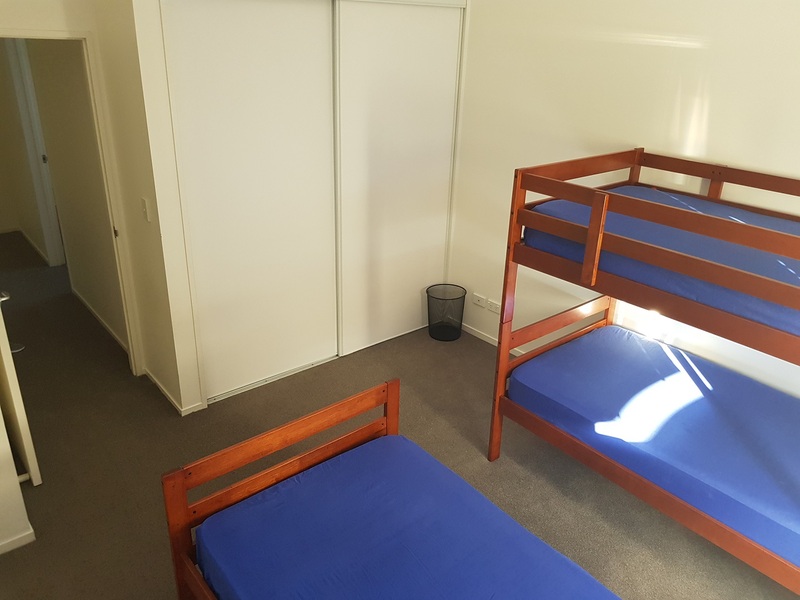 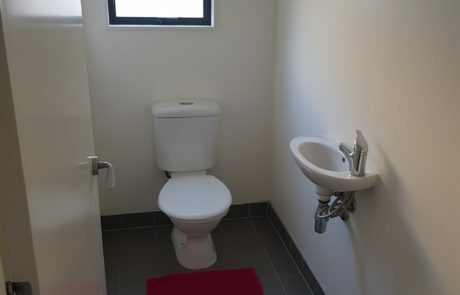 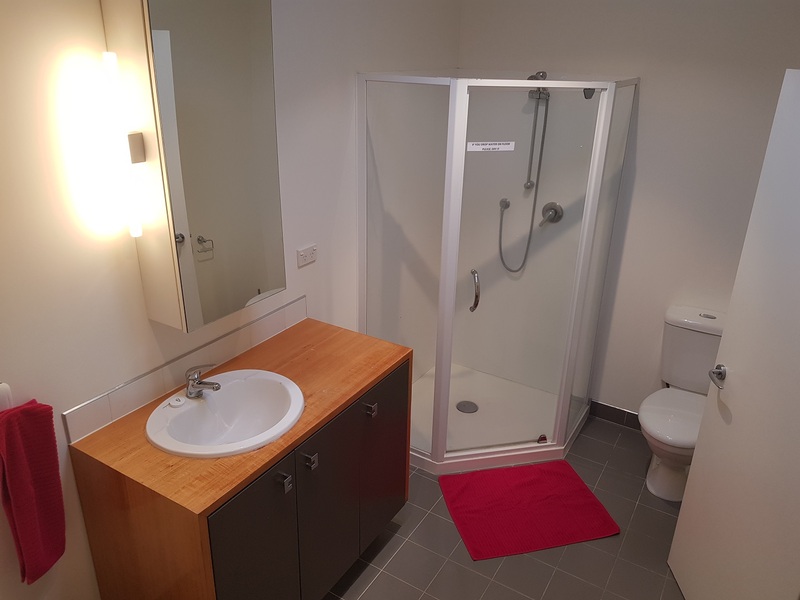 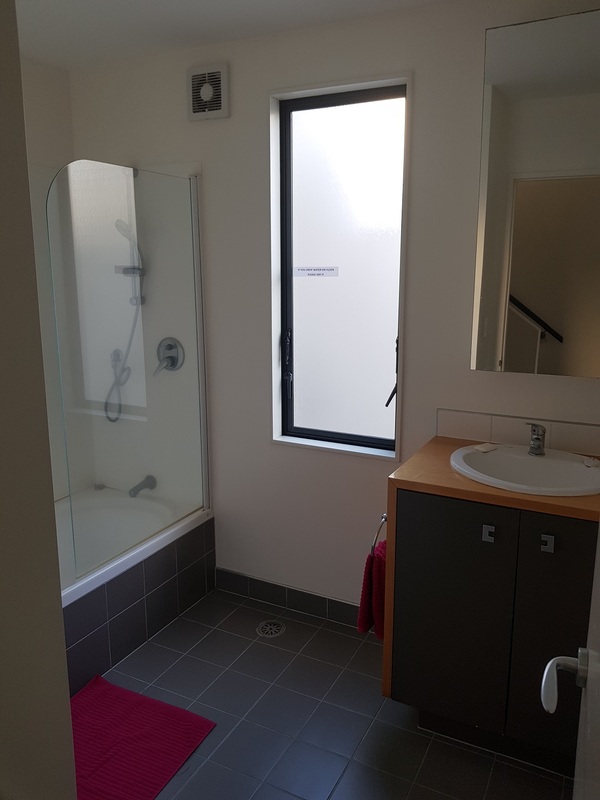 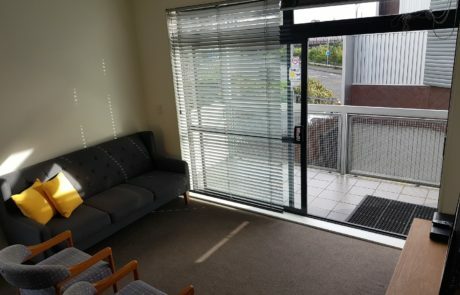 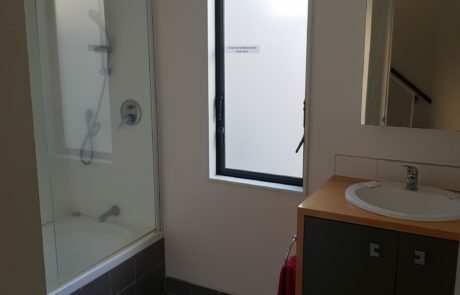 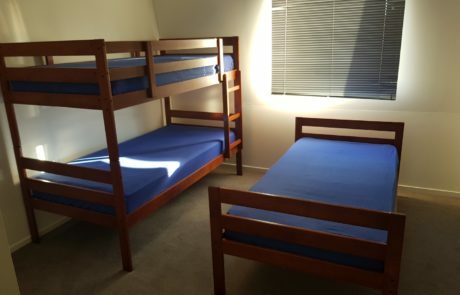 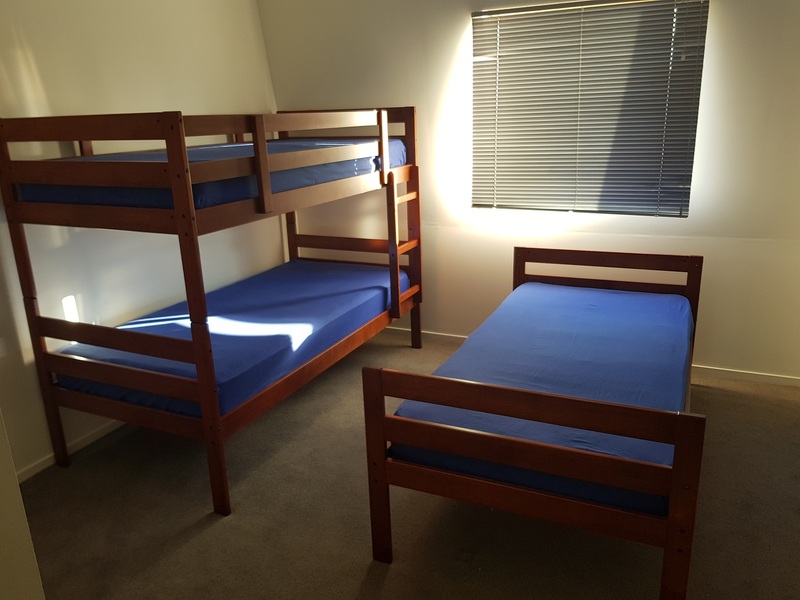 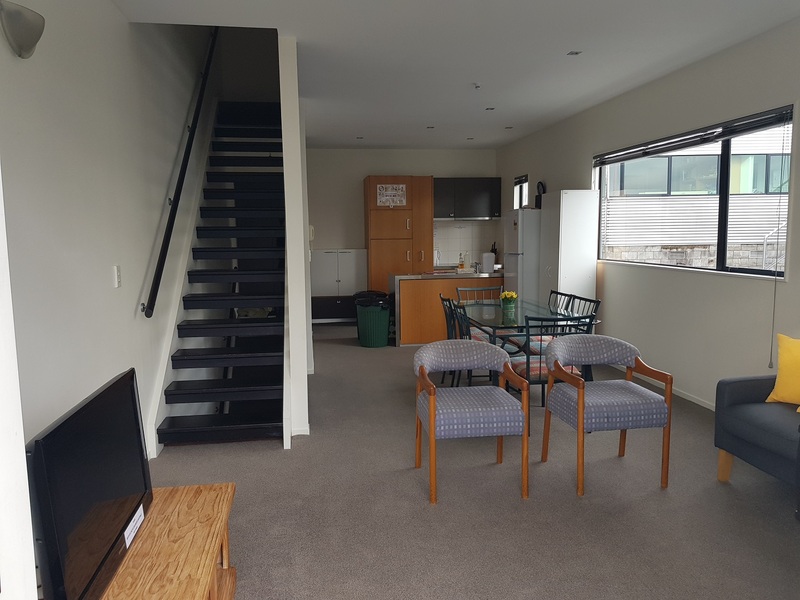 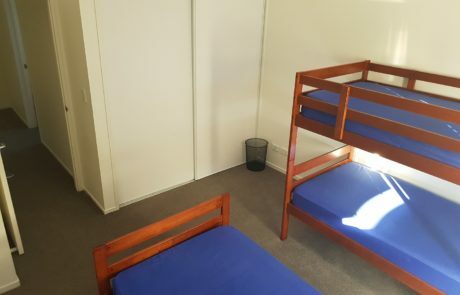 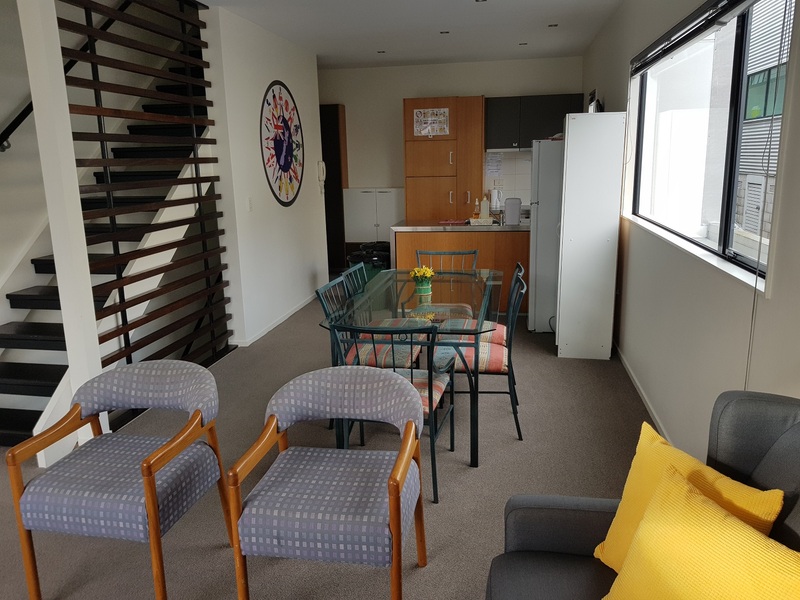 Flat with 3 bedrooms, 2 bathrooms, coined washing and drying machine (NZ$4.00 to wash and NZ$4.00 to dry). 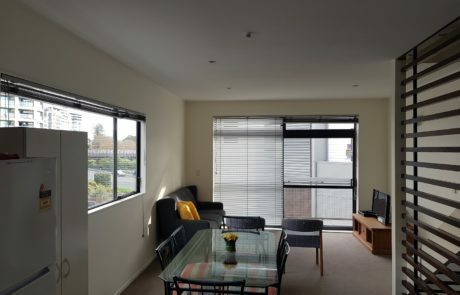 A living room with Sky. 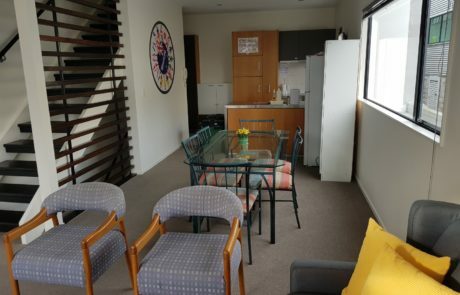 A fully equipped kitchen with kettles, pots, pans, microwaves, fridge, freezer, toasters, etc. 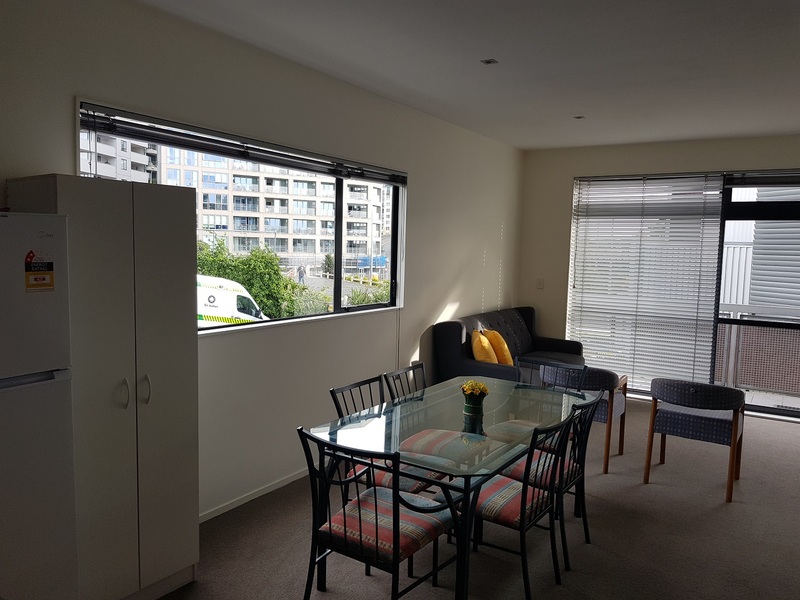 The kitchen is shared and everyone has a space in a kitchen cabinet to keep their stuff.